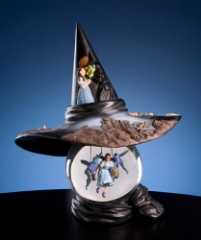 The Figurines on these handmade music boxes are inspired by the famousfantasy film named ‘Wizard of Oz’. The film is a children’s favorite. 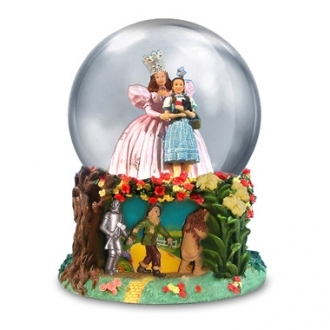 The collection includes music boxes with water globes and spinning figurines. The fantastic scenes and characters are crafted with great skill. The mysterious quality of the movie is reflected in the creation of the replicas. These are authentic Italian items. The music boxes are apt gifts for children and hobbyists. 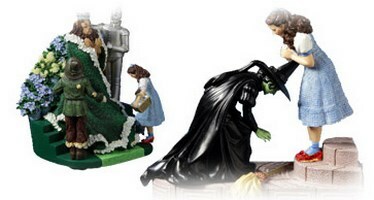 They are sure to enhance anybody’s collection with their fantastic figurines and wonderful castles.